The National Unity Government is fast approaching the half-way mark of their term in office. Running under two coalitions, the United National Front for Good Governance (UNFGG) and the United People’s Freedom Alliance (UPFA), the new government had the unique challenge of delivering on two sets of manifesto promises. Questions have been raised on the progress of campaign promises made by each coalition and on what is to be expected for the future of the country. To track the progress made so far, Manthri.lk launched the General Election Manifesto Tracker on Tuesday 10th October at the Lighthouse Auditorium (Lakshman Kadirgamar Institute), Colombo 7. The tracker monitors the progress and implementation of 80 actionable pledges and policy measures by the UNFGG and the UPFA as per the promises made under the UNFGG and UPFA parliamentary election manifestos in 2015. The tracker classifies each promise under a thematic area and has scored it in terms of its current stage of progress. Four stages titled ‘No Action’, ‘Poor Progress’, ‘On Track’ and ‘Complete’ allow users a simple guide on overall performance while detailed information on the progress of individual promises is also available. These actionable promises have been tracked by Manthri.lk by using official sources available in the public domain. The tracker will be updated periodically to reflect progress. Some highlights of the UNFGG’s delivered promises include a private sector minimum wage, restoring GSP+ tax concessions and removal of the EU fisheries export ban, creating a system of sectoral oversight committees of parliament. Some promises which have yet seen ‘No Action’, but are important for improving governance and democracy in Sri Lanka, include new campaign finance laws in the UNFGG manifesto and intra party democracy rules proposed in the UPFA manifesto. 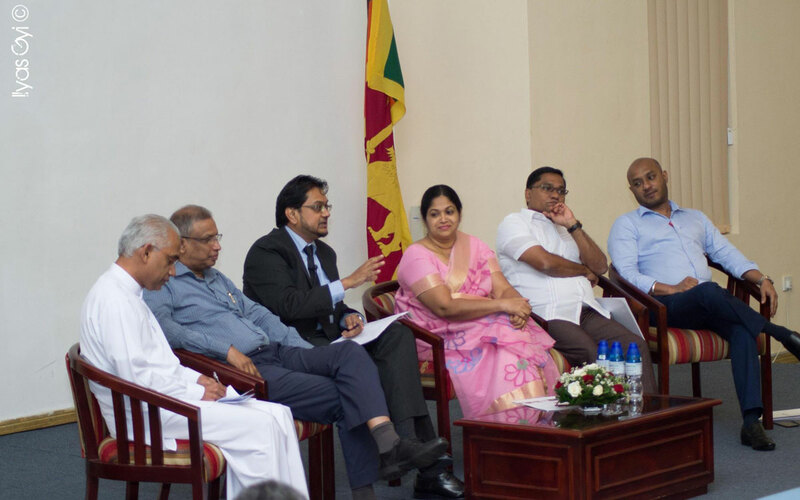 A presentation of progress under each manifesto was followed by a discussion featuring an eminent panel of MPs including MP Vijitha Herath (Information Secretary – JVP), MP Kabir Hashim (General Secretary – UNP), MP Duminda Dissanayake (General Secretary – SLFP) and MP M.A Sumanthiran (Deputy Secretary General – ITAK and Spokesperson – TNA & ITAK). Manthri.lk is Sri Lanka’s pioneering parliamentary monitoring platform. The platform was originally launched in August 2013 by Verité Research Pvt. Ltd, an interdisciplinary think-tank in Colombo, in conjunction with web development partners Saberion Pvt. Ltd.